Annette has over twenty-five years of extensive national and international business experience, with a more recent specialized focus in economic development, land development and commercial agricultural production. 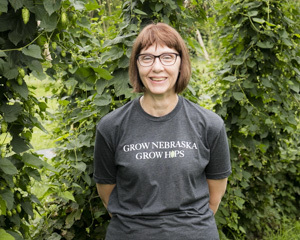 She is extensively involved in the business development, marketing and financial activities of the Wiles businesses and is working diligently to build a well-managed hop enterprise based in Plattsmouth, Nebraska. Bruce is a third generation farmer with over forty years of experience in active management of more than 11,000 acres of corn and bean crop production. 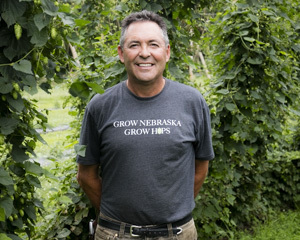 He’s following his desire to diversify crops grown in Nebraska and began investing in the further introduction of hops as an alternative crop in the state. Bruce is directly responsible for all aspects of the production farming operation, including field design and layout, hop variety selection, technical support and management practices. He is also a Certified Crop Advisor(CCA) and Certified Pesticide Applicator(CPA). 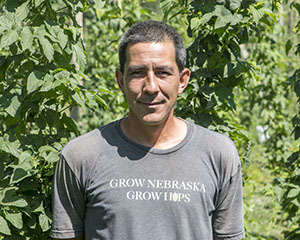 Derick is a Hop Yard Assistant with Midwest Hop Producers. 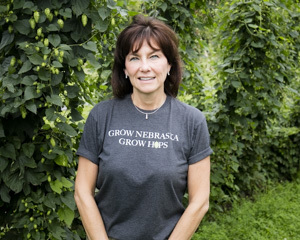 He supports many areas of the operation, including assisting in Hop Yard expansion activities, annual and daily maintenance activities, including irrigation and harvest activities.